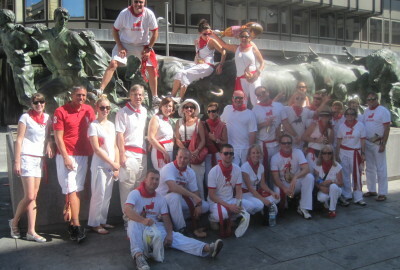 Let Pamplona Tours assemble the trip of a lifetime. 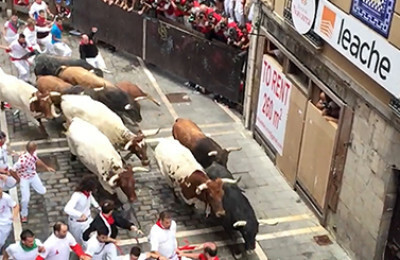 Before you go do a Google image search for “Running of the Bulls Spain” and completely get distracted, let us tell you about one of our favorite events. 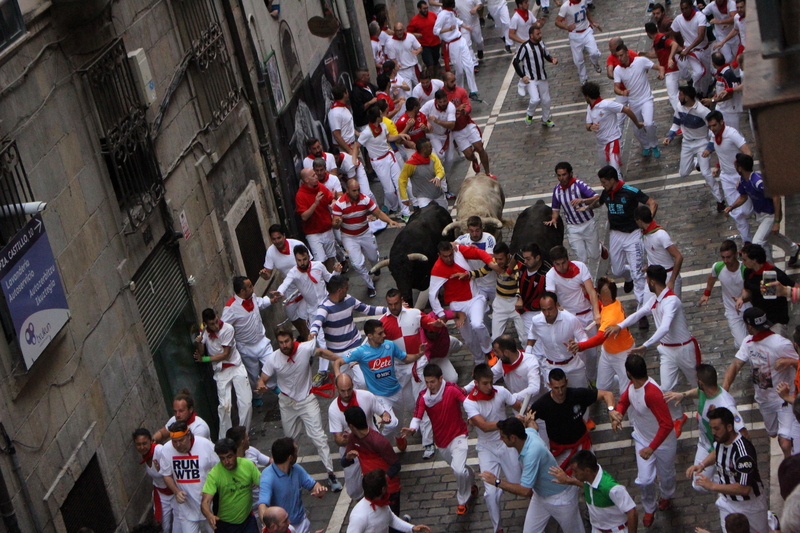 First things first: There really is no comparison to the San Fermin Festival in Pamplona, Spain. For eight incredible days, the city on Pamplona takes on a playful mystique, consumed by the perpetual state of bliss that the celebration brings. Where else can you mix religion, thrills, parties, parades… and bovines? 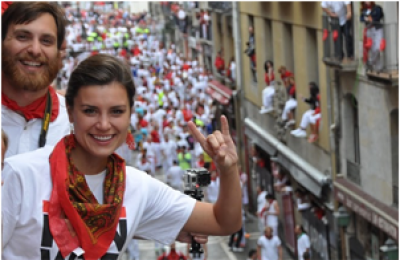 While in Pamplona, your Bucket List Events staff is there every moment of the San Fermin Festival to make sure you to experience is all. From the Chupinazo (Opening Ceremony), bull fights, tapas and wine, exclusive viewing balconies, to the Probre de mi (Closing Ceremony), we have you covered. So brush up on your Spanish, tie your shoelaces in a double knot, and join us in Pamplona, Spain next July. Find details about each of our packages below and then look through our Pamplona Itineraries to see your trip day by day. You will have a better time with us ! We love the San Fermin Festival. We think you will too. From the moment you arrive in Pamplona to the moment you depart, we know you'll have a better time with us. 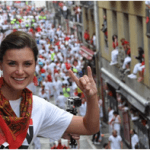 Joining Bucket List Events in Pamplona for the San Fermin festival was hands down the best experience I could have ever imagined and then some!!! Toby and all of his team exhibited the highest level of hospitality while showing all of us how to fully embrace the amazing culture in this city and during the festival. I would 1000% recommend anyone planning their travels to Pamplona to reach out to Toby with Bucket List. It will be an adventure you will never forget!!! ¡Viva San Fermin! 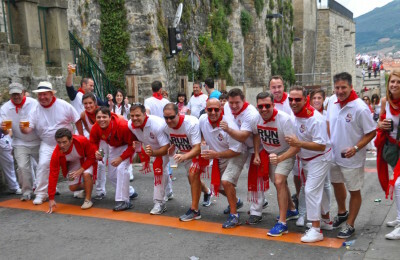 After careful research I chose this group to take 14 of my friends to Pamplona to experience the Running if the Bulls!! Throughout the process Toby was there to answer any and all questions I had for my group. Once we arrived everything was organized and communicated well and had an amazing experience from start to finish! If you are looking for a tour group to use I HIGHLY RECOMMEND this company and it’s employees!! Thanks again for such a great trip for me and my friends!!! Awesome time in Pamplona with an amazing team from Bucket List. We highly recommend Toby and his team. Showed great interest in what they were doing & a very fun, personable group! Definitely helped ease the stress of possible goring hahaha! Did take their advice, ran with it & survived 珞 Definitely plan on doing Pamplona again! Thanks for a great time Toby & team! Great Experience! Well organized. Friendly and knowledgeable staff. Many pleasant surprises. Money very well spent. Highly recommended! Looking forward to do other bucket list events with you. Our experience with Bucket List Events was all we hoped for, and the running with the bulls amazing. Pamplona is a fun town food and lodging excellent. Toby and the bucket list team were on top of everything and very knowledgeable. Amazing trip!!! Pamplona is an amazing city filled with amazing people. Take a quick look at some of our adventures during this fun-filled festival. 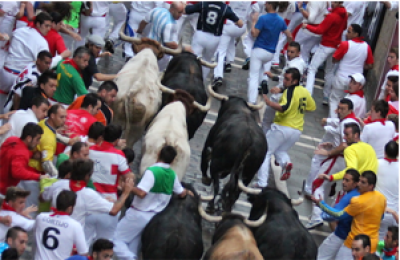 Pamplona Tours is a part of the Bucket List Events family. 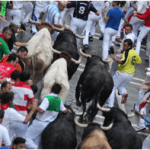 We’ve been taking clients to the Running of the Bulls festival every year since 2007 and are confident we take clients on the best Pamplona tour possible!